News from the Nest | Mind. Body. Spirit. Well Nest is the culmination of a 20-year dream to offer several holistic modalities for healing and well-being all under one roof. It is a creative, ever-evolving, growing center where people can address their psychological, physical, and spiritual needs in a safe, comfortable environment, guided and supported by caring professionals and experts in their fields. 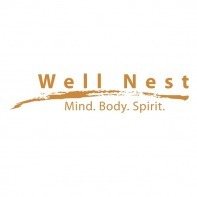 Well Nest offers individual psychotherapy, relationship counseling, clinical hypnotherapy, meditation and yoga classes, T’ai Ji, massage therapies (including reflexology, hot stone, and couple’s massage), diverse support groups (such as relationship, empowerment, bereavement, healing), and educational seminars (everything from nutrition, to spirituality, to local author readings). Groups and classes are largely based upon community need and request, so I invite you to engage with us at Well Nest, and be part of this creative support system for Chattanooga. You may want to utilize our myriad services, or teach a class, or facilitate wellness in a personal and unique way. Let’s discuss the possibilities! I believe that one quality that sets us apart from other centers and clinics is that we meet you where you are. We embrace ALL people and work with a person’s level of wellness and understanding at this moment. Never done yoga? That’s why we have two “Absolute Beginner’s” yoga classes. Never received a massage before? We have a patient and highly skilled massage therapist. Curious about T’ai Ji (Tai Chi)? New to counseling, hypnotherapy, meditation? You’re in good hands at Well Nest. Healing, insight, movement, and relaxation….located in East Ridge. Call or write for directions: 423-326-7099, or DrRick@WellNestChattanooga.com. Let Well Nest be a place you call home.